The next Hunger Games installment comes out next month, much to excitement of fans everywhere! The last movie had a cliff hanger ending and we don’t know what happened to Johanna Mason or Peeta Mellark! ::Bites finger nails:: Although, if you have watched any of the trailers, you know they are alive. That’s all you get to know. The next movie has Donald Sutherland back as the creepy President Snow. He’s back up to his old tricks by trying to drive public opinion in his favor while rumors of the Mocking Jay rebellion swirl around. Katniss finds herself in the hands of the rebellion lead by survivors of District 13. No one knew there was another district out there, some where. 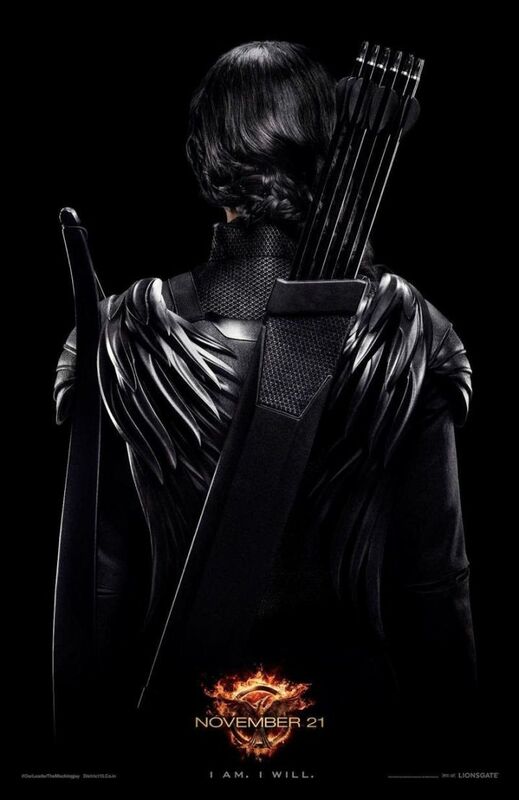 Will Katniss be able to draw from deep within and lead the rebellion? Will she still be able to fight? I can’t wait to see what happens. This movie looks fantastic. Julianne Moore is spooky as President Alma Coin. Take some time to look through the promotional portraits floating around out there and to watch the various trailers that have been released. We are in for a roller coaster as we find out if our heros can survive in a teenaged wasteland. Thomas can’t remember anything but his name. Waking up to find himself trapped in a maze with a group of other young men, he has to figure out what is going on. Just as he’s adjusting to his world, a girl arrives named Teresa. There has never been a girl there before. 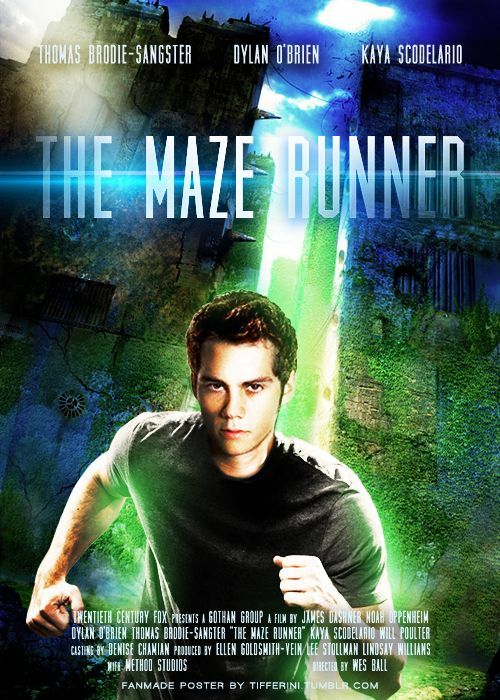 Thomas becomes a maze runner mapping and looking for a way out as they try to survive. There are some crazy mythological stories from Greece and one of them is the story of Theseus and another the story of Icarus and Daedalus. Once upon a time, a crazy king had a minotaur. So he built a maze and put the minotaur in the middle. Then he fed the minotaur anyone that displeased him. Then they went to war with other city states and demanded that 7 young men and 7 of the best unwed young girls be sent every year to the feast of the minotaur. They were then sent into the maze and the minotaur would hunt them and kill them. This happened every year till Thesueus hunted and slayed the minotaur through wise trickery. That my friends, is the inspirational back ground for this type of story. Kill the minotaur! Escape the MAZE! In other news, the movie is based on a book. The book is supposedly fantastic. I haven’t myself read it but so many people have enjoyed it they sent the book to the FEAST OF SCREEN ADAPTATIONS! It happened to win. Thomas Brodie-Sangster is in the movie. You may known him as the voice of Ferb on Phinneas and Ferb. Chris Sheffield plays Ben and he was on Happy Land. Finally Dylan O’Brien plays the main character Thomas. You may have seen him on the TV show, Teen Wolf. I think I am going to wait for NetFlix though I encourage everyone else to see this in the theater. There are some great young actors and actresses in this movie that we will see more of in the future. Water, it’s the most precious substance known to man. Imagine growing up in a world where your father tells you stories about green pastures. That is this world. Wouldn’t you do anything possible to protect your family in a world where dust is more abundant than rain or good morals? Join a young man and his equally young companions trying to survive in a near future filled with famine. I love, love, love genre mash ups. 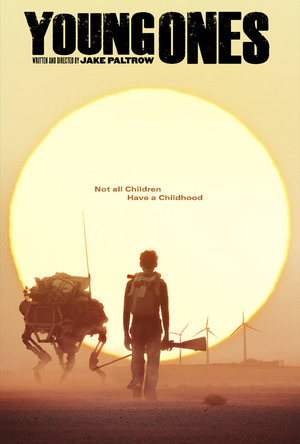 This is not just post apocalyptic, it’s not just young adult, but it’s also a sci-fi western. Yes, you read that correctly. Just like Cowboys and Aliens, this is a sci-fi western. It’s also getting a limited US release. Right now the movie is just finishing up the film festival circuts, which is why you probably haven’t heard or seen anything about it. The director, Jack Paltrow, also wrote the movie. ( Yes, that’s Gwen’s brother.) The movie stars Elle Fanning (Super 8, Maleficent), Nicholas Hoult (Skins), Kodi Smit-McPhee (ParaNorman) and Michael Shannon ( Boardwalk Empire). You should be outraged if you are not getting this movie in your city. Some films deserve to be seen. Ask your local theater for a showing… demand it. THROW THINGS… wait, don’t do that. Keep suggesting it till a wide release is scheduled.